Abu Dhabi is becoming increasingly competitive as a regional and international destination as it targets 5.5 million hotel guests in 2018, said a report citing a top official of Department of Culture and Tourism, Abu Dhabi. The UAE capital welcomed 4.8 million tourists in 2017, which resulted in nearly Dh5 billion ($1.3 billion) in revenue including that from hotel and food and beverages, said a report in Gulf News. Most of the tourists came from China, followed by India, UK, Philippines, US and Egypt. 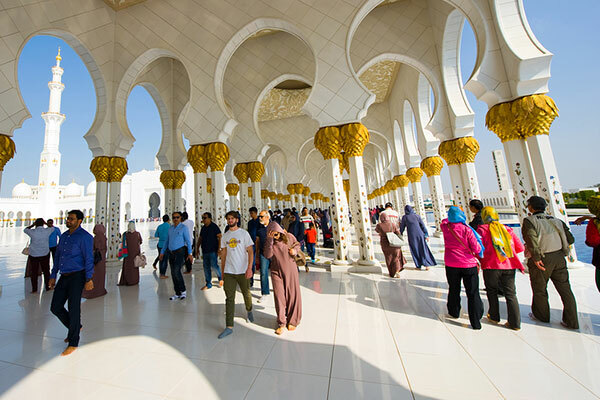 The emirate has witnessed a surge in the number of Chinese and Russian tourists following the introduction of visa-on-arrival facility for tourists from these two countries, the report said. Cruise tourism also helped the jump in the number of visitors with 346,000 cruise passengers undertaking cruise trips. Around six cruise ships are homeporting in Abu Dhabi’s cruise terminal, with Europeans constituting most of the cruise passengers. The Department is targeting 370,000 cruise passengers in 2018. “We will be targeting 5.5 million hotel guests in 2018 with majority coming from our key markets. We will be running roadshows and promotion activities in the GCC also,” the report cited Sultan Al Dhaheri, executive director of tourism sector in Department of Culture and Tourism, Abu Dhabi, as saying. The Department of Culture and Tourism has 10 offices overseas including in some of the key markets like India, Germany and China, with plans to open more, the report said.